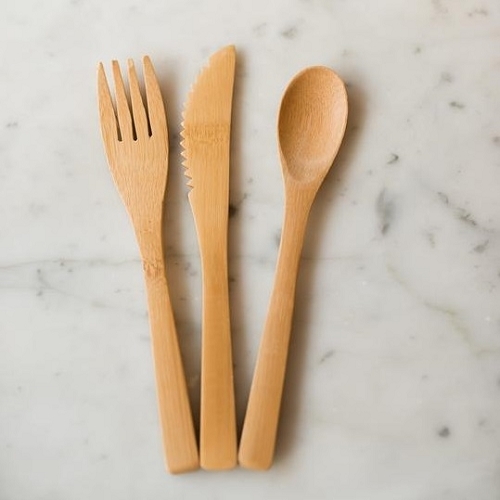 These amazing 100% biodegradable utensils will contain a fork, knife and spoon in zero waste packaging made from recycled packaging. 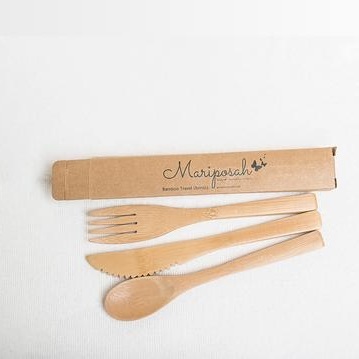 This pack of utensils comes in a box made of recycled materials and will last a year. Fork, knife and spoon made of bamboo. Bamboo is a natural product, sustainable and plastic free. Mariposah Bamboo Toothbrushes are biodegradable, great for your wallet, and for your oral health!